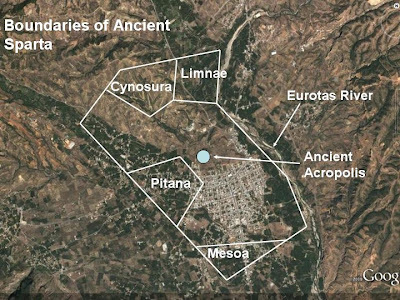 The image below contains an outline of ancient Sparta superimposed over an aerial view of the modern city. The areas occupied by the four original towns are shown with their names and locations. 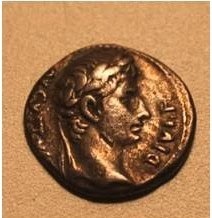 The ancient acropolis, located just north of the modern city is marked with a circle. I'm glad I found this, thanks.